The Middle Way was first taught explicitly by the Buddha. It is the first teaching offered by the Buddha in his first address, and the basis of his practical method in meditation, ethics, and wisdom. It is often mentioned in connection with Buddhist teachings, yet the full case for its importance has not yet been made. This book aims to make that case. The Middle Way can be understood from the Buddha’s life as well as his teachings. His early life follows a symbolic quest through the extremes of the Palace and the Forest, followed by the discovery of the Middle Way. His similes, such as the raft, the lute-strings, the arrow, and the blind people with the elephant are not just allegories of Buddhist teachings, but relate closely to the universal human experience of balanced judgement. This book also has a critical case. Although it has transmitted the Middle Way, the Buddhist tradition has also often ignored or distorted it. The Middle Way is experiential, authentic and creative, and thus threatening to the power of a tradition that has instead emphasised the Buddha’s authority as a source of abstract, absolute revelation. 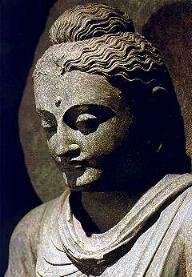 The Buddha’s Middle Way aims to differentiate the universal Middle Way from Buddhist tradition. In The Buddha’s Middle Way, Robert M. Ellis re-issues the Buddha’s teachings as a practical philosophy in the classical sense – a guide to sane and optimal living, rather than a religious doctrine or mere armchair musings. His middle way is a present-day life well lived, and his book is a convincing and valuable aid to finding and cultivating it. Though his erudition is striking, he writes clearly and accessibly. This is a book for both practising Buddhists and anyone who seeks to live an examined life.